I knew my quest was still way short of complete; my thirst still unquenched. I had committed to myself that I must find answers to the questions churning my mind; and my soul. This could only be done through another visit. And if so needed yet another and yet more. Having acquired yet another and better camera with a powerful flash, I headed eastwards. I had left myself just no choice. 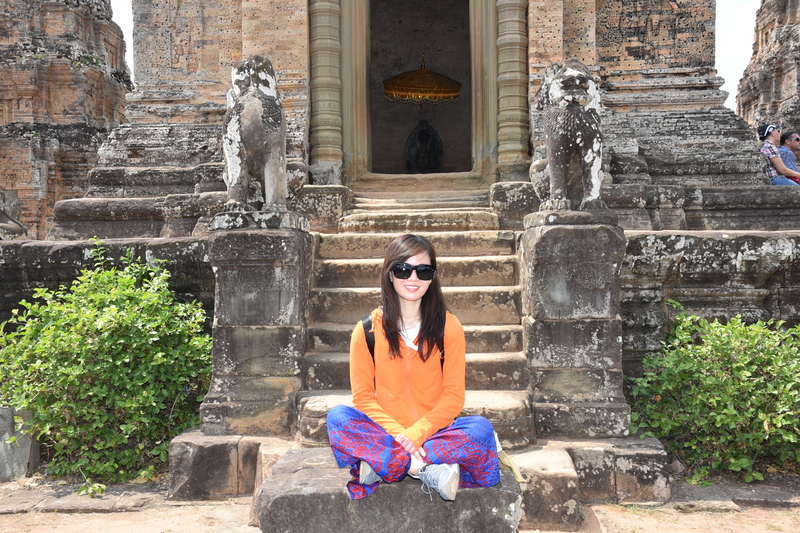 It was a two days at Angkor trip. Two days at work and nothing else. Whilst immigration this time round was tough, really tough with at least 60 people in front and a young lady from the US speaking to someone on the facetime constantly commentating on the tardiness of queue movement etel, right behind. All were there – a Japanese lady, an Australian, an Argentinian and many others. I was trying not to get irritated for I could not have done anything excepting for going with the tide. I have seen corruption all my life in the daily life and I had also read regards this omnipresent scourge prevailing in Cambodia as well. But so openly, I didn’t know. When the Immigration officer of our queue went away for a little while I asked another one floating about there to quicken the queue, he asked me money for quickening the queue. We all waited till my turn and it took better part of an hour and a half. Even afte r a strong desire of getting up early to capture the sunrise, I just could not muster enough legs to leave. 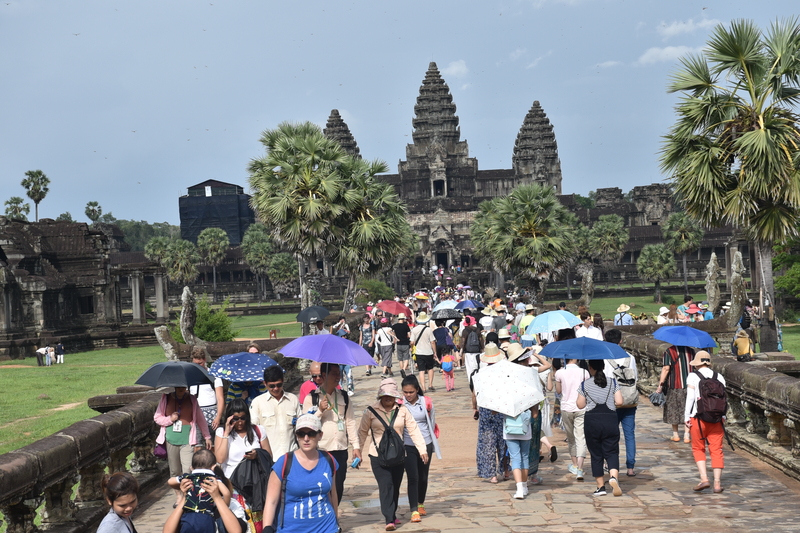 Got myself a three day ticket from that well maintained ticketing building at 55% hike in just over two months, left for Banteay Srei in the Tuk Tuk hired for a full day. have become slippery as well. Saw this boy making decent sketches of Angkor and many other artworks. 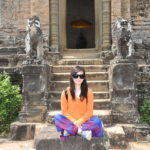 Pre Rup is made of five typical towers of the Meru Parvat. Made in sand stone bricks of much smaller sizes and laterite, it has withered quite a lot with time. 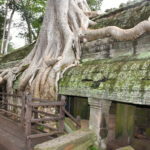 As is the case with the other Temples, Pre Rup had obviously has had just no maintenance and the result is not surprising. My main refrain being as what shall be the status after say another 50 years or 100 years. What will our future generations get to see here? A mound of rubble? It saddens me a lot. A lot, that is. 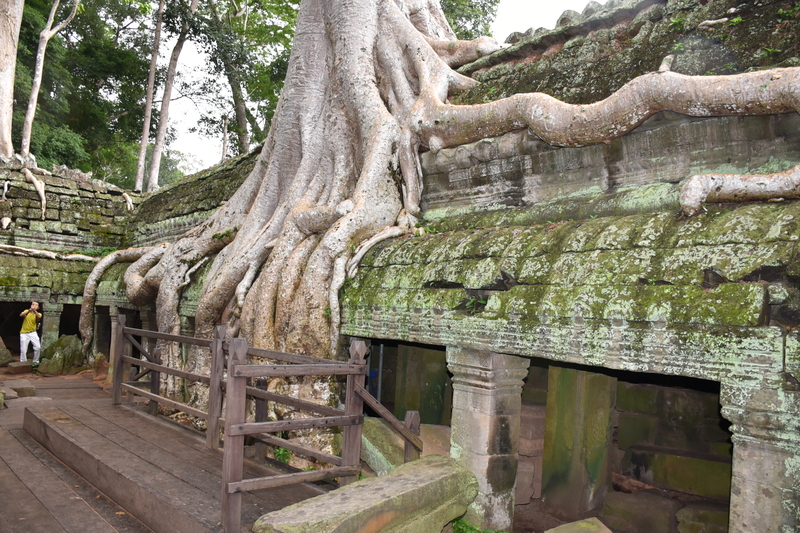 Banteay Srei is a veritable treasure. Literally the best and the most enchantingly beautiful of them all. Pink could be so cute, only Barbara Cartl and could have imagined, I recalled her like for this colour. On my own part, I had done some work over twenty years ago at a military station up north in India, but that was very basic. Yet the quality of stone was similar; no engraving etc. Yes, it appears very pleasing. My good fortune. It was the Holiest of Day for me, the Maha Shivaratri, the Day of The Lord Shiva unto whom this particular Temple has be en dedicated. Truthfully,, I had no notion whilst making my booking I had had. It was only when my driver to Mumbai from Pune told me to be careful on the 24th Feb so as not to consume any non-vegetarian food or any liquor on the 24th that I imagined my good luck. But lo and behold, what has been done by barbarians here as well! The Nandi outside His Temple had been killed by some cruel hands (cannot attach that picture of naked barbarism). But l et me confess, that Nandi was appearing as if fully alive even in that shape. I was dumb founded at this unsavoury sight, Felt bad and moved ahead. 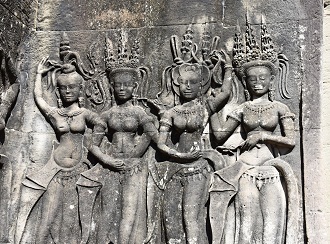 The refined artwork of sculpting was way more intricate as compared to anywhere including the ones at Angkor. It appeared as if it wasn’t work on the stone, it was on the walnut wood. Intricate, exquisite, refined and complete to the last detail. 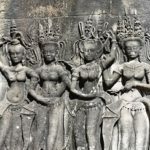 I was a tad surprised that whilst Angkor Wat had become so famous, how come Banteay Srei hadn’t. Although it is all the same, an Abode of The lo rd, yet each & every one of them is different as we have different houses and our offices are. It was becoming difficult for me, i n fact. Whether to understand and appreciate the art & architecture, take as many pictures as was feasible, marvel at the engineering or just plain feel jealous of my luck to find oneself fortunate enough of being present amidst this God’s bounty. I cannot decide, ever I suppose. Needn’t. 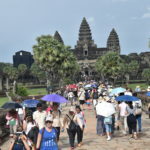 Bayon, Angkor Thom, Ta Prom and a few other smaller ones and I was tired by the time arrived at Angkor Wat. Really tired and knees paining. Still took advantage of good natural light and captured many pictures including the libraries, the Echo Room and so many other sculptures. Will talk about them in another post. All in all it was a very hectic and a very result oriented day with good outcome; though left me in a lot of pain due to tiredness. On my way back Phiya, the Tuk Tuk driver told me that this trip of today is usually made over two days; the entire takes four to five days. I had granted myself two days; everything included.